The West Wing Weekly — a throwback fancast which offers a week-by-week discussion of the TV drama The West Wing. 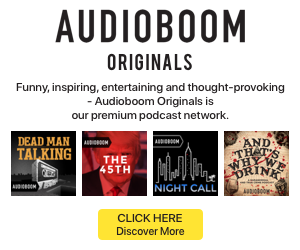 The podcast is established, and joins Radiotopia at the start of season two. TV star Bradley Whitford guest-appeared on the second-season pilot. The Bugle is a satirical comedy show founded by John Oliver and Andy Zaltzman. this long-running, popular show began in 2007, and reportedly enjoys over a million monthly downloads. John Oliver, busy with his HBO show Last Week Tonight, has stepped down and is replaced by a rotating cast of co-hosts. Andy Zaltzman is the brother of Helen Zaltzman, best known for her The Allusionist podcast.